Germany's animals and plants in a unique genetic library. 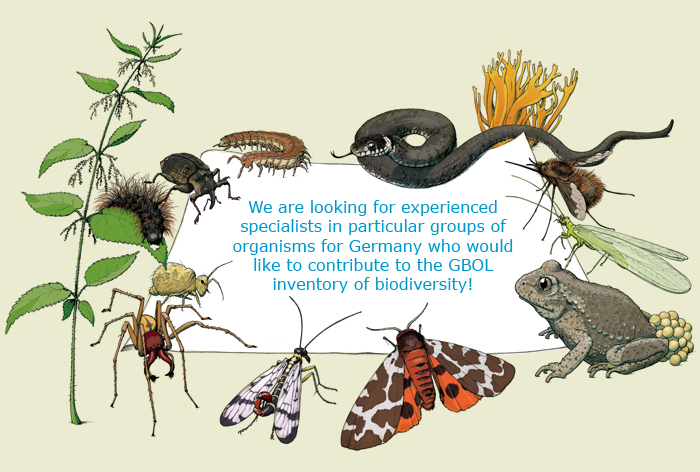 Are you an experienced specialist for a certain taxonomic group? You can easily work with morphological species-identification keys in your group and know by experience how the organisms live, and where they occur? You enjoy nature and feel responsibility for our environment? → You are a highly welcome partner for the GBOL community! Barcode identification … via our local GBOL BLAST Database!